Rejoice, we've made it through another week, well at least I have I am not sure about you. Lots of a great games last night Bulls vs Pistons was a great start, then you've got U of L vs West Virginia which turned out to be a better game that I thought. Then to cap things off the Mavs and Warriors faced off, which I have to admit I just couldn't stay up for. Oh before I get to the Flashback today I want to give a shout out to the Apples & Pears Blog. Tanya rocked out a feature on Sneaker Collectors and gave me a little love, so please click through and check it out. 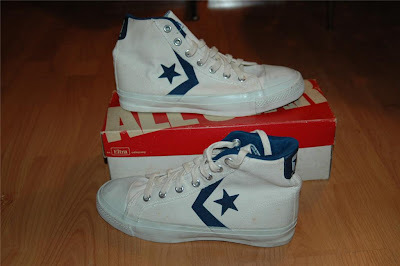 The Converse All Star II comes from late 70's, I am pretty sure 1979 actually. 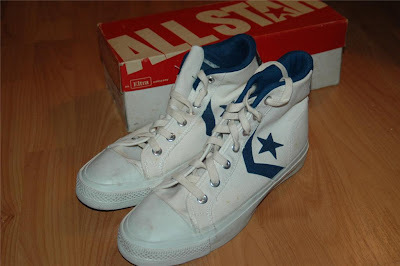 As you can see from the box it was a shoe released during the Eltra Era. 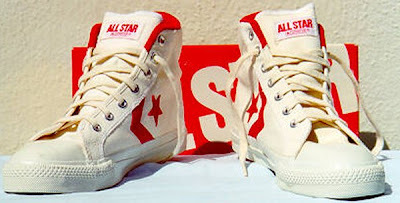 While there a certainly difference between the Chuck Taylor All Star and the All Star II, the outsole remains the same. There is just something about this pattern that works. 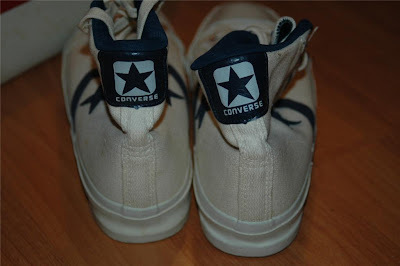 As you will see in the pics below the Chuck Taylor patch is gone and replaced by the Chevron and Star. 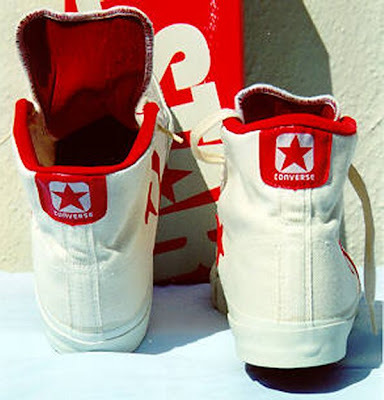 Also new is the heel tab featuring the Star in a Square logo. Also gone is the Heel plate the reads "All Star". 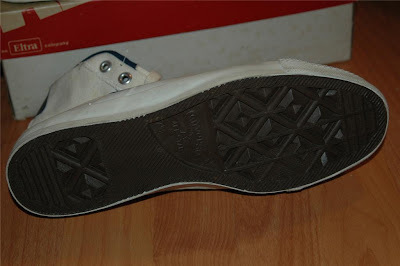 In a lot of ways, to me this is just a Canvas version of the Pro Leather, you know without the leather. 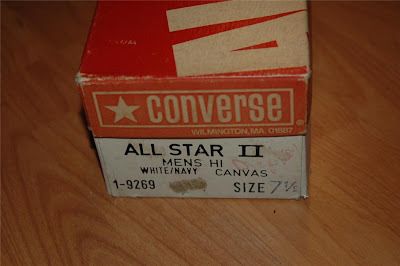 Well I can't speak much more on these since I don't have a pair myself, but I will say that these were probably the last Canvas shoes worn in the NBA. Does anyone know who that player was? I'll give you a hint it was in the 1980 season, not much of a hint thought. Anyway thanks for checking out the site, hits have been going up over the last week, which is awesome, please keep coming back and telling your friends.